A report released this week by HLDI shows that some popular safety don’t work, while some simpler ones are very effective. Some systems actually showed an increase in accidents. No new car demonstration or marketing piece would be complete without an emphasis on the newest driver aids to help prevent crashes. Generally, the safety systems seem to address a problem that is easy to understand and one that we can all agree might need to be addressed. For example, many manufacturers now offer systems that will alert a driver to an impending frontal crash. Some will even take over and apply the brakes if the driver does not react. The problem is easy to envision and the way the system might protect us is clear. On the contrary, many new vehicles offer lane drift and blind-spot protection. These systems claim that they will keep us from drifting dangerously into another lane or off the road altogether. They also seem to hint that this is a problem that needs to be addressed. A new study done by the Highway Loss Data Institute (sister group to the IIHS) has now determined what new systems work and which do not. The biggest benefit of the systems looked at came from adaptive front headlights. These types of systems turn the headlights in response to a driver input, say turning the wheel as one corners. The intent is to light the roadway that the car is about travel more effectively. Since these types of lights are the newest, they are also usually xenon or LED related and thus, they also have the most up-to-date lighting technology in terms of brightness and clarity. This type of system had the highest rate of accident reduction of the types studied. Even more impressive, the lights seem to help in a wide variety of crashes, not just forward collisions. Matt Moore, vice president of HLDI, commented on these in a press release saying "All four adaptive headlight systems we looked at show benefits for most insurance coverages, and many of these estimated reductions are statistically significant. These lights appear to help in more situations than we anticipated, though we don't yet know why." One added benefit of these lights are that they obvious when they are working and quite fun to watch as they sweep the road from left to right as one turns into a corner. The biggest loser of the technologies studies included lane departure warning systems and also blind spot monitoring systems. According to the HLDI analysis rather than have less accidents, vehicles with lane departure warning systems actually seem to have more accidents. Even more telling, the institute points out that accidents caused by people drifting off the road are uncommon to begin with. So here we seem to have a waste of money; a system that solves an uncommon problem that does not show a positive impact anyway. Included in the group of apparent losers in terms of real-world results were blind spot monitors, which have not yet proven effective when analyzed. 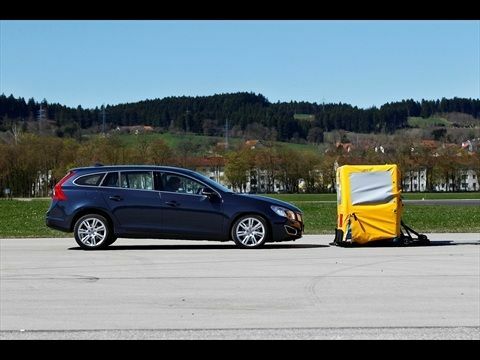 The study did show that active frontal impact systems, such as Volvo's City Safety System, do prevent crashes. Furthermore, the cost of the accidents that did occur with warning systems was lower, indicating a possible reduction in severity due to the warning provided. The report seems to show that these systems already work and that subsequent generations of these types of accident prevention measures will be even more effective. Some new safety systems show much promise, but some simply are not effective and seem to solve imaginary problems.